The reason why the market has been quiet lately in the forex world is because investors are wary of the effects that will happen on midnight of December 31, 2012. And its not about the world coming to an end. 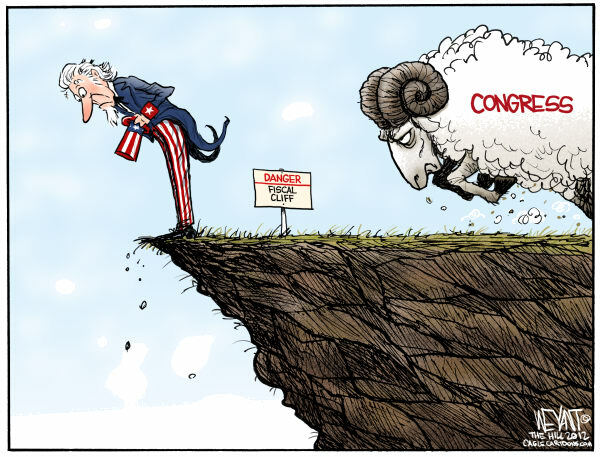 It is called the fiscal cliff. Increased in taxes in the US will bring about a big change in its economy. And for a hint, I think the “cliff” already spoiled on where the trend will go. Just how much effect will this cause? Actually, the British government had made the same decision (or mistake) of increasing the taxes. They thought that increasing the tax will result in increased revenue for the government. But the people are not dumb. They left the country, with their money, including the millionaires and billionaires and resulted in even greater lost for their government. Around 7 Billion GBP. This is what will happen to the US. The US with having the most number of millionaires in the world, could have a negative effect to its economy. They could migrate to the Philippines because we are a growing economy.. Whatever happens, be ready for the fiscal cliff. This could be a big opportunity for all of us.